As Vice President of Construction, Bob leads with vision Keystone Construction’s full staff. He has over 30 years of experience in the commercial construction industry primarily in healthcare, education and development. 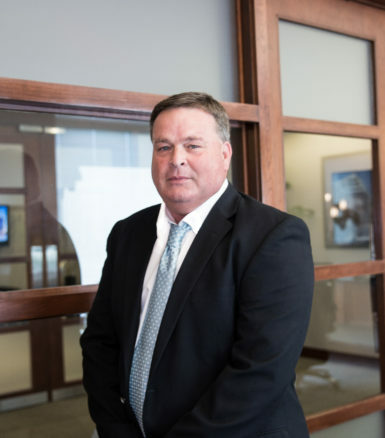 Mr. Crowder has managed healthcare projects at 37 individual central Indiana Healthcare facilities and hospitals ranging in value from $2,000,000 to over $170,000,000. His experience and capabilities provide a high level professional approach to the structuring of projects (large and small), project teams, subcontractors and general overall job-site management where he has had oversight of design, schedule, budget, revisions, staff, contracts and awards. Two of Mr. Crowder’s projects have been recognized by ABC as Projects of the Year “special” awards for institutional over $2 million dollars. Bob graduated from Indiana University-Purdue University with a Bachelor of Science in Construction Management.